Pip Forrester, chair of Fleurieu Food, encourages you to take a journey of exploration that reveals the Fleurieu’s outstanding flavours. When you visit the Fleurieu, be sure to bring a decent appetite so you can taste all the magnificent treats our producers have in store. Fleurieu farmers and vignerons, chefs, brewers, distillers and shopkeepers are intently focused on presenting the best food, wine and drinks they possibly can. They have a great advantage, sourcing the best ingredients from a pristine environment – a place they love to call home. 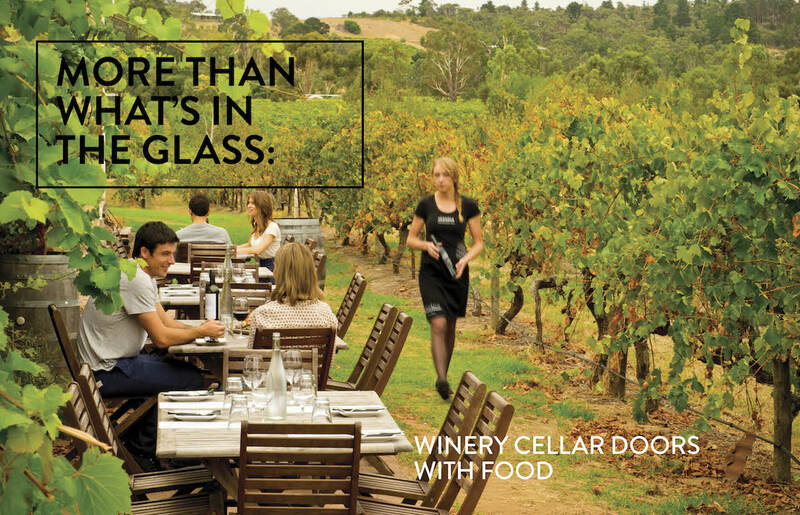 It’s why you’ll see our winemakers dining in local restaurants, our chefs at the farmers’ markets, and producers checking out cellar door tasting rooms. 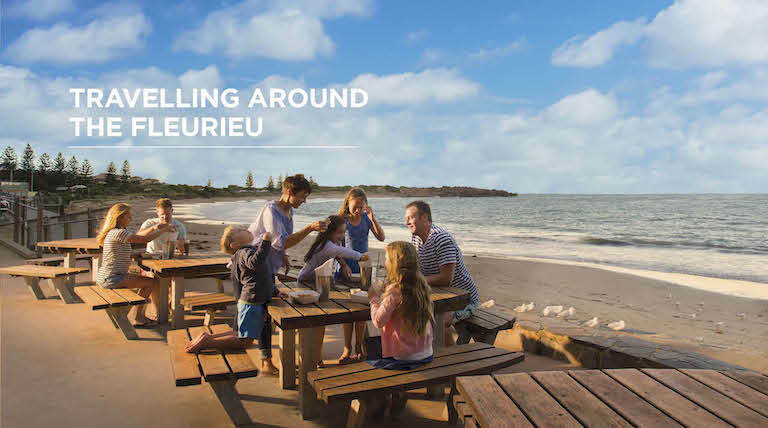 Their tips are the stories we want to share through this publication – to get you experiencing the best of everything that the Fleurieu has to offer. Enjoy what you learn about our special piece of paradise, and then love what you taste. the very best of the Fleurieu Peninsula. Yes, it’s about the food, world-famous wine, spirits, beer and coffee. But it’s also about the people – the warmth and hospitality they extend, their affection for their region and why they love to share it with visitors. It’s not showing off, but more that they’re keen for you taste all their local treasures. 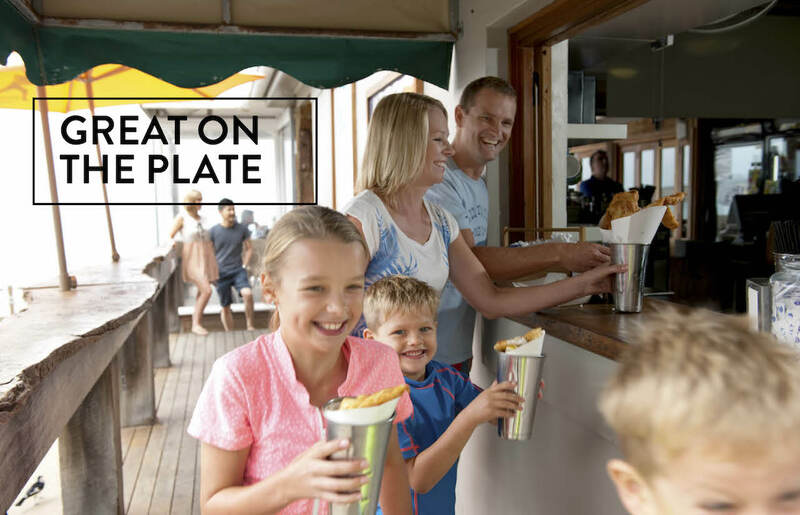 It will make your visit to the Fleurieu so much more memorable – and make you hungry to return for more. 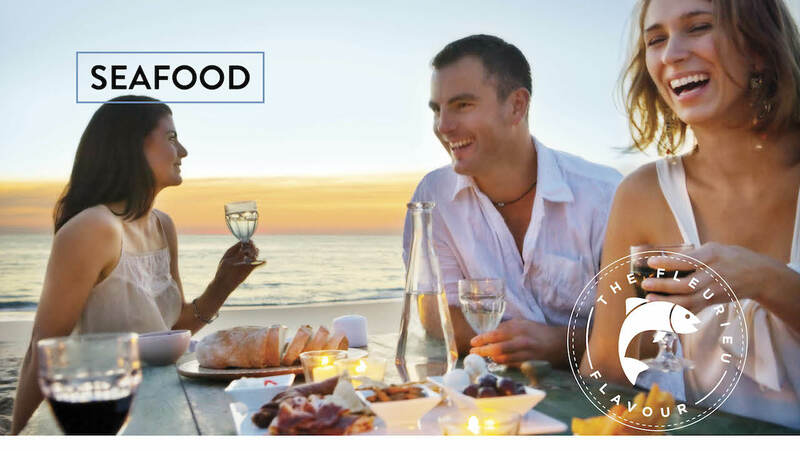 This booklet has been designed to serve as your travelling guide, steering you throughout this big region and identifying our best foods and drinks. Read stories about our produce, find the locations of farmgate producers and markets, or jump straight to the foldout map at the back. Use it as your pathfinder to explore the many routes through the Fleurieu Peninsula – or even as the pathway to access Kangaroo Island – and discover all our enviable food and wine havens. As the gateway to the Fleurieu, McLaren Vale is an easy 30-minute expressway drive south of Adelaide, nestled between pristine beaches running from Port Willunga to Sellicks Hill, and the gently rolling toes of the Mount Lofty Ranges. Allow plenty of time to explore the region properly and traverse all the neighbouring districts, from McLaren Vale to Cape Jervis, to Goolwa, Strathalbyn and Langhorne Creek. The 200km ring route is much larger and more diverse than it initially seems. The Fleurieu provides the corridor for road travellers planning to reach Kangaroo Island by ferry transfer from Cape Jervis. 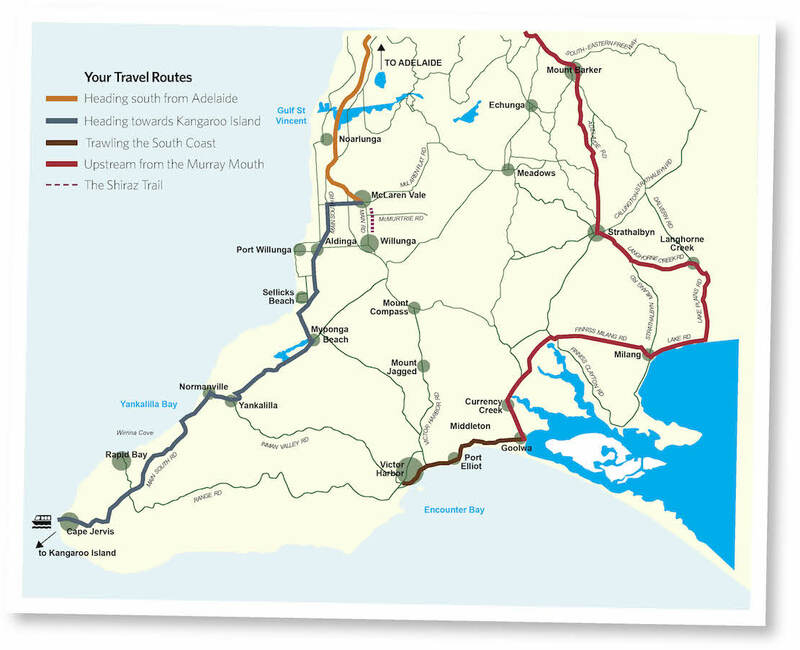 It takes about an hour to travel 78km south from McLaren Vale, over Sellicks Hill to Myponga, Yankalilla, Normanville and Second Valley before arriving in Cape Jervis. From Victor Harbor, enjoy a 20km route beside the southern coastline running through Port Elliot and Middleton to Goolwa. Weave through a picturesque 60km route from Goolwa, through Langhorne Creek vineyards to Strathalbyn pastures and Mount Barker, before joining the South-Eastern Freeway back to Adelaide. Travel by bicycle or walk along the Shiraz Trail that links McLaren Vale and Willunga, a 7km sealed path following a former railway line beside vineyards. For more invigorating exercise, take a walk along trails into the deep Onkaparinga Gorge, a national park flanking wild stretches of the Onkaparinga River. If the beach is more to your liking, the Coast Park Trail is a 1km path through the sand dunes at Sellicks Beach. You can even drive your car onto the long stretch of white sand between Aldinga Beach and Sellicks Beach –an idyllic location for a seaside picnic. The Fleurieu boasts some of Australia’s best regional dining – a perfect marriage of regional freshness and sophisticated preparation by clever chefs. Offerings cover the gamut of dining choices, from elegant modern restaurant cuisine to simple bistro meals and convenient cafe snacks. Be sure to check websites or phone to confirm opening times. On the banks of the Murray River, this simple indoor/outdoor cafe provides pleasant breakfasts, lunch and is a popular coffee spot. multi-course meals or a la carte options for lunch. A crowded weekend attraction for breakfast and lunch. The enclosed shack offers great views of the beach and Coorong sandhills. Also known for great seafood, especially fried whitebait and the Goowla Super Bowl of seafood in broth. 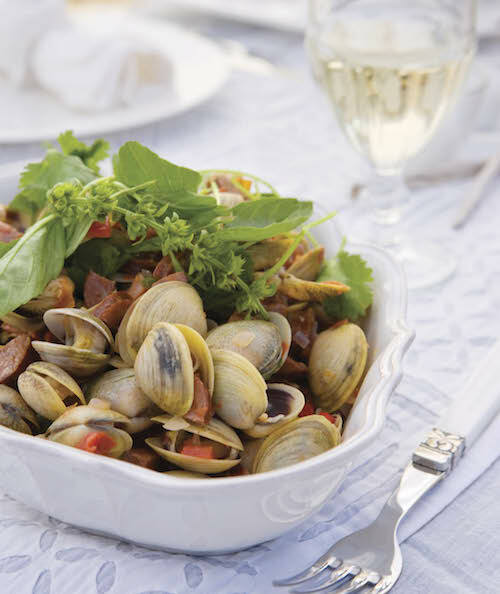 It wouldn’t be a true Fleurieu menu without something from the Coorong, such as Goolwa Pipi Company’s cockles or Glen and Tracey Hill’s Coorong mullet. Simon Burr, chef and proprietor, The Olfactory Inn, Strathalbyn. Food offerings extend from produce available at the cellar door tasting room to meals in the charming gardens and sheltered courtyard. Chef Tom Reid prepares bold plates to share for lunch from Thursday to Monday, offering a hint of Tuscany’s la dolce vita in the Fleurieu. Stunning views across the district from the dining verandah provide the perfect foil for clever and generous restaurant fare from chef Peter Reschke. Robust regionality with a clever twist. Allister and Tenney Parker breathe fresh life into the former Whalers’ Inn with smart contemporary food that perfectly suits the relaxed, informal dining space. Linger on the wide, open deck to drink in big ocean views. A five-course tasting menu is the star attraction that shows the best of chef Fabian Lehmann’s strong a la carte offerings. Served for lunch from Thursday to Monday in the winery’s Ellen Street Restaurant. paraphernalia fits perfectly in this wharf-side cafe, serving big breakfasts, focusing on fish and seafood for lunch, and serving dinner on Fridays and Saturdays in summer. Tarak Marco and Sandrine Maltret introduce their French influence to local produce in a charming bistro setting, with specialties of bouillabaisse and côte de boeuf with béarnaise sauce. This 1880s building was originally a bakehouse. Now it’s a quaint cafe, with breakfast and light lunch selections, proudly promoting French touches to Fleurieu produce. 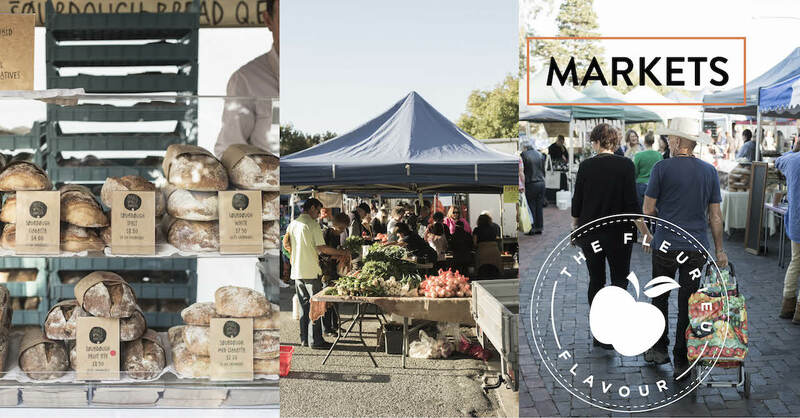 Willunga’s cobblestone town square is transformed into a long, humming avenue of food and drink vendors from 8am every Saturday. It attracts a teeming crowd of astute shoppers, making Willunga Farmers Market the cornerstone of regional markets in South Australia. 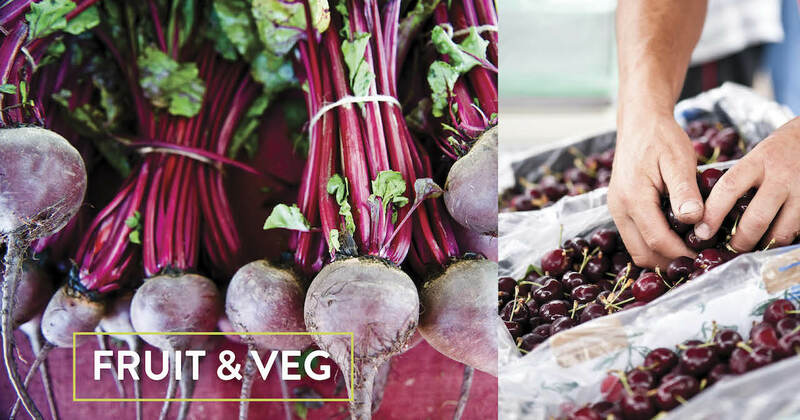 producers showcasing niche produce – including some backyard growers with fantastic small crops to round out the full complement of available foodstuffs, just like the market’s bigger sibling in Willunga. Outstanding fine dining, with adventurous presentations of superb local ingredients, sourced by chef Brendan Wessels. 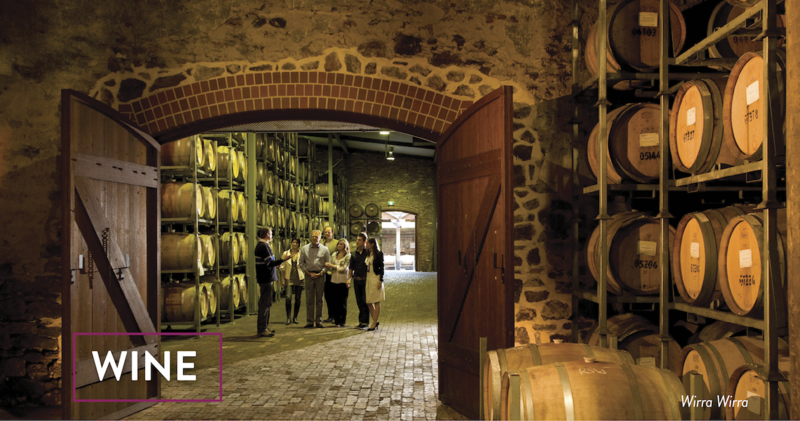 The historic former flour mill also features a cellar door for select southern Fleurieu and Kangaroo Island wines. Mel Howard offers an eclectic, homespun menu, from confit duck to vegan and paleo offerings. Especially popular for breakfast, the cafe also has light lunches, with Friday and Saturday dinners served during summer. 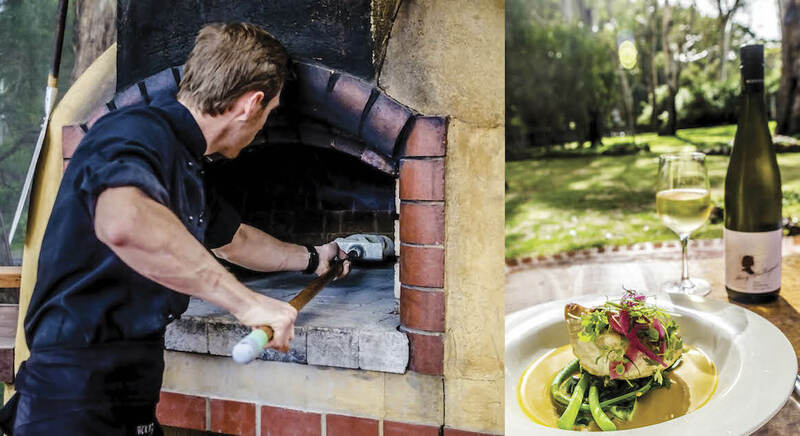 Renowned baker and chef Andy Clappis adds a generous pinch of Italian hospitality and flavour into Sunday long lunches at his Willunga Hill home. Slow food in all its comforting glory, but bookings are essential. On Saturdays and Sundays, Tony Mitolo makes pizza the traditional way, along with regional Italian treats of arrosticini (thin lamb skewers) and zucchini fritti, and V. Mitolo & Son wines available at the bar. English chef Tom Boden has happily made the Fleurieu his new home, and opened his own restaurant in Port Noarlunga, focusing on farm-fresh produce for leisurely lunches and weekend dinners. Pursuing an artistic flavour, owner Ros Miller presents exhibitions across many art media, along with casual lunches, and live music every Sunday. The venue also offers tastings of Brick Kiln Wines and Vale Brewing beers. An extension of the popular Unley cafe, created by dynamic young entrepreneur Rosey Hume. The open meatball sandwich on ciabatta is a must for lunch. The home of artisan pizza, started by chef Russell Jeavons in 1993, and still cranking out big numbers from the huge wood-fired oven each weekend. Mediterranean and Middle Eastern influences inform prime local ingredients. Beyond its popular function room, the winery has a restaurant serving dishes by chef Hayley White, from Thursday to Sunday. The meals are smartly designed to match Steve Pannell’s gorgeous wines. drive the kitchen has given a lift to Serafino’s lunch and dinner menu, presenting sharp modern dishes with an Italian flavor. This iconic clifftop eatery has enjoyed longstanding kudos as a casual restaurant of distinction. Smart seafood and a superb wine list perfectly complement breathtaking beach views. Combining the attributes of a cafe, restaurant and wine bar, this casual eatery within the historic waterfront accommodation covers all dining requirements – and makes local produce and drinks the focus of all its offerings. An historic stone inn has been transformed into an exquisite boutique hotel, cleverly embracing touches of Asian and Colonial Australian design. Juliet Michell prepares extravagant degustation meals in the dining room for house guests, and pre-booked public diners on Saturday nights. One of the Fleurieu’s tucked-away gems, now refurbished with chic modern furniture. Dioni Flanagan prepares carefully selected regional dishes and presents them with flair, while sommelier Josh Picken offers an interesting wine list in a cute room overlooking orchards and vines. Local chef Ben Sommariva is cooking exciting regional fare within the new tasting room for Mr Riggs and Zonte’s Footstep wines, without complicating or compromising natural flavours. “It’s like you’ve come into my house to eat”, he explains, either for lunch (except Tuesday) or Friday dinner. 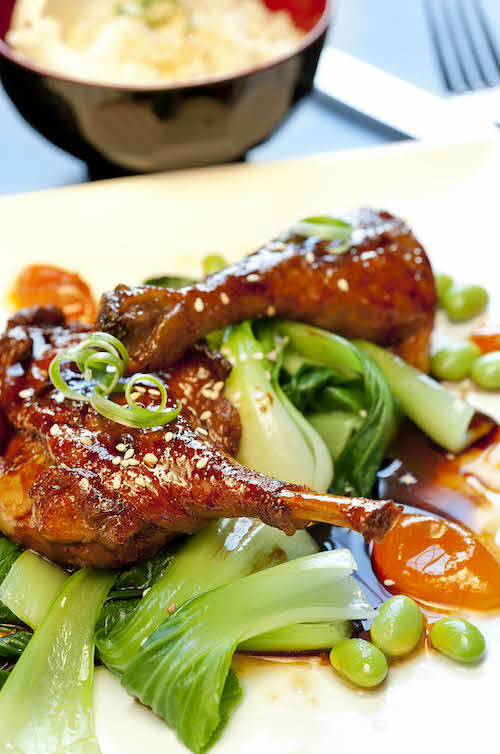 Impressive mod Oz dishes from chef Neil McGlew take full advantage of premium regional suppliers. Diners take in glorious glimpses of the surrounding paddocks and vines. Simon Burr has opened his own eatery in a charming old villa, producing fulsome flavours in a regional menu that changes with the seasons, embracing everything from Vietnamese phoo Coorong fish and cockles. Chef Karina Armstrong has brought fresh vitality to the historic Salopian Inn, with a striking regional menu capturing dazzling Asian and Middle Eastern flavours. Be sure to explore the cellar for great regional bottles, or the wall of more than 230 different gins. The family-owned restaurant presents classic Italian hospitality, with generous flavours in dishes from antipasto platters, through pasta and gnocchi, to grilled and roasted meats, designed to sit comfortably beside Vasarelli’s bold wines. From a prominent perch atop Sellicks Hill, this smartly renovated pub pulls the sum of this bountiful food and wine district into perspective; the best local wines beside fresh local ingredients. Check out the expansive wine cellars. The introduction of Harry’s Deli adjacent to wine tasting in the refurbished cellar door has added an extra dimension to Wirra Wirra’s big winery complex. The casual cafe-style food is complemented by superb coffee. Chris Bone embraces superb local produce, or dining options include bountiful regional platters, and wood oven pizza nights. the forerunner of Willunga’s almond industry. Mark Lloyd, proprietor, Coriole, McLaren Vale. The Fleurieu is South Australia’s traditional home of almonds, although many trees were uprooted in the 1990s to make way for grape vines. Only six growers remain, tending 40 hectares, yet almonds deservedly remain the emblem of Willunga. It’s because several superb historic almond varieties are specific to this area. Johnston and Summerton almonds, developed by local orchardists from brown, hardskin European varieties, have grown in the district for more than 100 years, and are still sold by Jude McBain of Blue Cottage Almonds. The homespun Blue Cottage operation has a roster of helpers at its weekly Willunga Farmers Market stall for cracking shells, to ensure freshest possible almonds are sold. Fresh and flavoured almonds are also available at The Almond Train, a charming shop within a converted 1920s railway carriage in McLaren Vale’s main street. My tip on how to best use a favourite piece of Fleurieu produce is to sear and slowly roast lamb backstrap from Illawong Texel Lamb at Victor Harbor. For the stuffing, use regional olives, rosemary, tomatoes and red onion – and it’s best enjoyed with a glass of Thunderbird Shiraz from the Southern Fleurieu. Rich soil produces ingredients of remarkable quality, flavour and diversity, sparking demand for Fleurieu farmers to grow even more varieties of fruit and vegetables. Rich soil produces ingredients of remarkable quality, flavour and diversity, sparking demand for Fleurieu farmers to grow even more varieties of fruit and vegetables. Charismatic Willunga farmer Francesco Virgara plants crops specifically at the request of farmers, market customers and the region’s chefs, from rare chillis and cavolo nero (black cabbage) to golden beetroot. “We don’t have to be the same as everyone else here; we can be special instead,” says Francesco. Seasonality and freshness is the key. Ian and Colleen Francis of Starlight Springs reflect the seasons through their vast range of heirloom vegetables. It’s similar at Vive, Kate Washington’s small organic plot on a reclaimed former vineyard block. 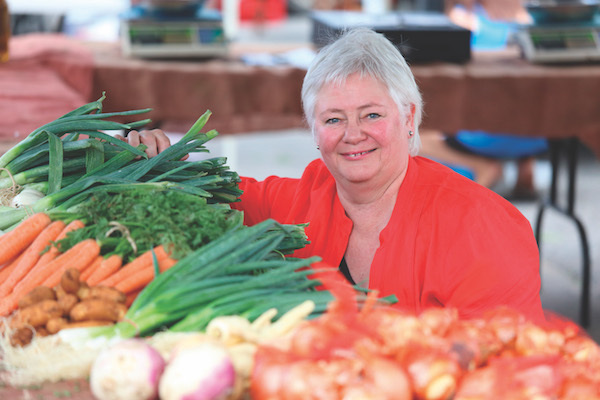 Her diligent work earned a Young Farmers Scholarship from the Willunga Farmers Market, designed to help establish a new generation of food farmers in the region. Third-generation Fleurieu market gardeners Wesley and Brentyn Hart prove that local markets provide crucial support for small growers. They attended the first Willunga market in 2002 with only white and red spuds, but happy customers demanded more varieties. The Harts now produce 20 types of potatoes, from purple congo to bintje – with about 10 different types available each week, changing as they come into season. and multiple heritage varieties of peaches, nectarines, plums, apricots and raspberries, but also the rich bounty from the couple’s other farm on the River Murray: pistachios, figs, walnuts, pecans, quinces, pomegranates, currants, sun muscats and sultanas. Fleurieu visitors can even walk among the crops to pick their own produce at The Blueberry Patch, or Harvest the Fleurieu’s strawberry fields, both at Mount Compass. Peta Dougherty and Stephen Schmitz, proprietors, Jetty Food Store, Port Elliot. Driving around the Fleurieu becomes the ultimate bounty hunt for food lovers. Visiting farms, specialty stores and providores reaps many unexpected rewards – and the wider you look, the more you see reflected pride in premium local food items. 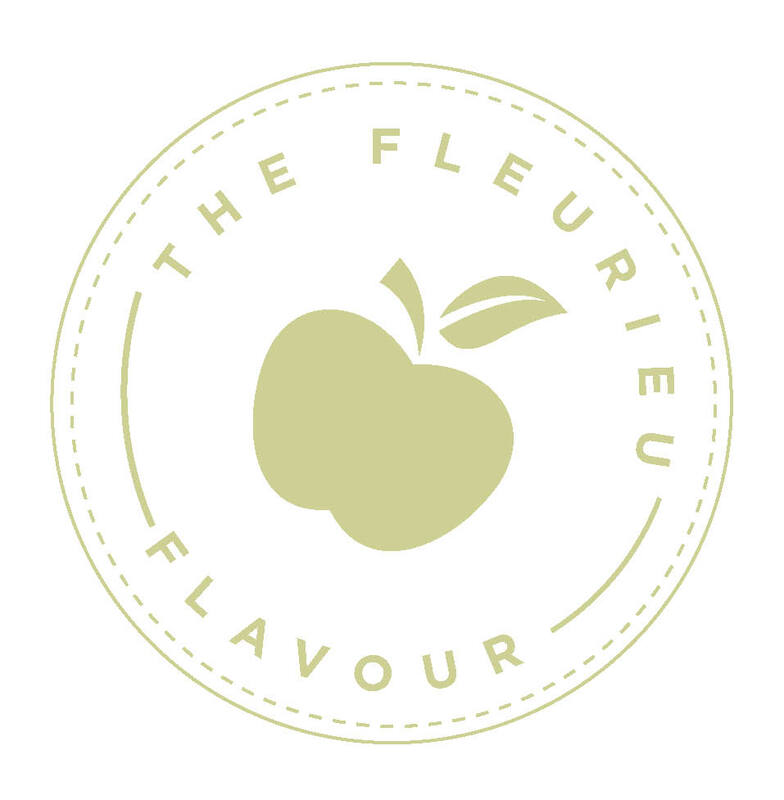 With each purchase, from farm gate stores to cafes and winery cellar doors, you taste vibrant Fleurieu flavour in every bite. from the farm factory and observe cheese being made on Mondays, Wednesdays and Fridays. Ask about tutored vertical tastings of aged cheeses, from three months to 18 months, to show off seasonal differences. Condiments from the lunch menu are sold in take-home jars, including PJ’s Cabernet Crush jam. Vale Cheese and Wine Trails. Delicious goods from more than a dozen local producers are sold at the cellar door tasting room, from honey and horseradish to eggs, bread, cheeses and mettwurst. 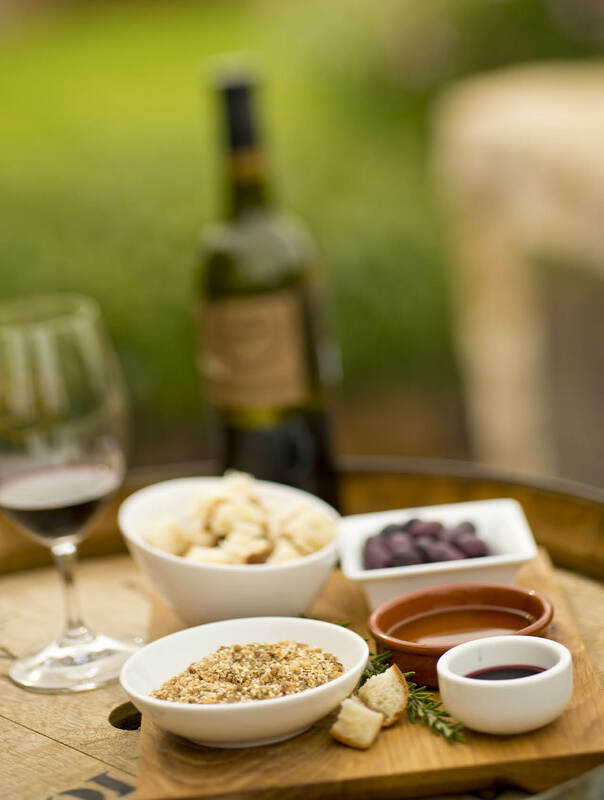 A standard bearer for gourmet tastes, Coriole winery cellar door also presents its own olives, olive oils, vinegars, verjuice, its own take on vincotto and cheeses. Dom Ossa and Nick Suggit offer a cellar door approach to coffee in the heart of wine country, with as many as seven varieties of single origin roasted coffee beans available from the roasting shed on Sundays. Artisanal coffee roasters Trevor De Groot and Bernadette Stack’s main focus is single origin coffee, buying certified organic fair trade beans from small grower co-operatives. Buy their beans direct from the factory, and stay for a cup. Wendy Ashwin’s cute shop is open on weekends. The professionally trained chocolatier – although she prefers to call herself a melter and creator – makes more than 20 types of hand-made chocolates, and a range of fresh-baked patisserie products. I taste the true Fleurieu when I’m having a Coorong mullet burger. Make it with lettuce, tomato, local artisan Turkish bread, a lick of aioli and plainly grilled mullet fillets. It’s pure bliss. Alister Parker, chef and proprietor, Eat @ Whalers, Victor Harbor. Harvested year-round from the pristine Coorong coastline, fresh cockles are sold at the processing factory in net bags or long-life MAP packs – live, de-sanded and ready to cook. Beyond picking your own strawberries from the adjacent paddocks in season, the shop stocks fresh blueberries, blackberries, rhubarb, garlic, snowpeas, green beans and limes. It also presents boutique producers without their own farm gate sales, including Ashbourne Orchards and Nangkita Oils. The delicious pies and artisanal breads made by Toff and Cara West have spawned a small empire of regional bakeries. Built around the slogan of coffee, culture and community, the Home Grain shops are hubs for feel-good foods. 1880, but modern producers have made them the region’s largest agricultural product behind wine grapes. Specialised harvesting of more than 2500 tonnes of olives a year from about 120,000 trees delivers the dual treasures of delicious fleshy olives and pristine extra virgin olive oil. To ensure high quality benchmarks, the annual Fleurieu Olive Awards acknowledges excellence, rewarding such consistent producers as Nangkita Olives (its extra virgin oils are sold at Harvest the Fleurieu in Mount Compass) and Two Hills and a Creek (selling olives and tapenades at Willunga Farmers Market). 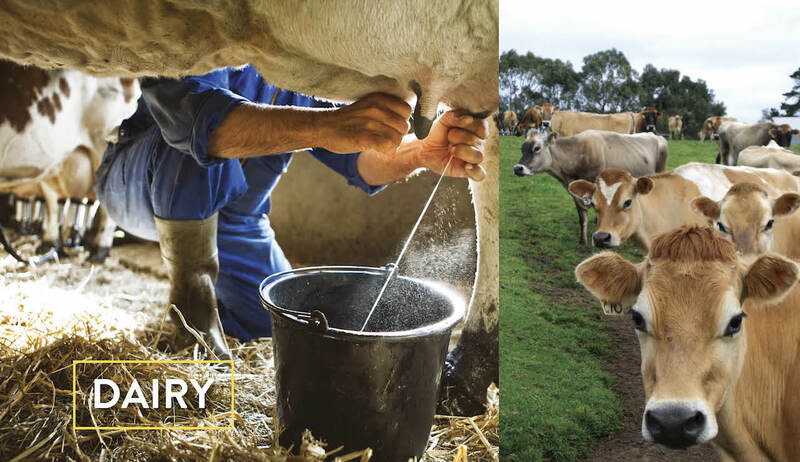 The Fleurieu’s lush pastures are a natural home for dairy cattle, and local farmers show great ingenuity and artisanal skill in the dairy products they make. Dan and Krystyna McCaul use their Jersey herd’s milk to make cheese, establishing the Alexandrina Cheese Company in 2001. Visitors to the factory on their farm can observe cheese being made three days a week: cheddar (which won a silver medal at the 2008 World Jersey Cheese Awards) on Mondays, edam and gouda on Wednesdays, with Fridays devoted to romano and pepato. Dan especially likes taking visitors through vertical tastings of aged cheeses, from three months to 18 months. wineries to match selected wines with a pack of local cheeses, olives and dried fruits. goods 30 years ago. Their B.-d. Farm Paris Creek brand has been a resounding success, with the company now managing herds from seven biodynamic Fleurieu farms that produce 100,000 litres of milk a week to make more than 30 dairy products, from butter and cheese to yoghurt and milk. Quality is the mantra that Denise Riches also upholds at Hindmarsh Valley Dairy. She expanded her goat farm near Victor Harbor beyond meat production by retaining goat milk to make impressive specialty cheeses, from cremè fraîche, yoghurt and curd to the Swiss-style raw milk Emme. Juliet Michell, chef and co-proprietor, The Australasian Dining Room, Goolwa. The winery cellar door offers the property’s own award-winning extra virgin olive oil. As part of the Encounter Coast Spirits cellar door, this farm-based micro distillery also presents a unique range of jams, chutneys and condiments made on site, under the Irreverent Kitchen brand. The ultimate regional providore, with fresh fruits and vegetables from local plots, baked goods, seafood, condiments and delicious pantry items. There are also take-home meals available, made from fresh local ingredients. Taste olives from the 40-year-old grove that surrounds Lloyd Brothers’ farm shop, which also sells cold-pressed extra virgin olive oils, pesto and pasta made on site. A showpiece of regional diversity, with shelves stocked with a vast array of local gourmet pantry items, in addition to a cellar door service that showcases a different local winery each month. Fresh organic and local produce is the focus of Lisa Eigenwillig and Richard Maxwell’s mod grocery store. The cafe section also offers cold-pressed juices, mighty burgers, raw desserts and superb organic coffee by local roasters Villeré. Part Italian enoteca, part French providore, it’s more than just a wine tasting room. The Minko pantry stocks fabulous foods from local artisans, including Russell Jeavons’ dukkah, Andy Clappis’s bread and Pat Danvers’ famed pasties. A large pantry of delicacies from local producers is available, from condiments and sauces to fresh-baked treats, in addition to the casual meals served and wine tastings. As the home of the Meakins family’s food and wine operations, this dual-business cellar door presents the full range of Newman’s horseradish products. The esteemed Joseph extra virgin olive oils are available, in addition to Joseph and Primo Estate wines. still wines, extra virgin olive oil and fruit preserving in season. Bookings are essential. Sweet treats from choc-dipped apricots to Turkish delight, nougat, port jelly, brandy syrup and praline. The Jenke family’s farm produces a wide range of olive products. In addition to kalamata olives sold at the farm shop, there are also extra virgin and flavour-infused olive oils, and luxurious olive-based skin care products. A converted 1920s railway carriage provides the charming showcase for a wide spread of fresh and flavoured almonds from the region. Pick your own tubs of fresh blueberries from December to February, or buy punnets of fresh and frozen fruits from the small farm shop. The cafe and shop located at the farm features estate-grown olive oil and other food products produced, along with homewares. Stay for coffee and cakes, breakfast, lunch, or book luxury apartment accommodation on the property. An expansive providore shop with supplies to fill picnic hampers, or stay for coffee and a bite in the rear courtyard. Nathen and Sophie Wakefield’s superb farm-killed meats are now available at their butchery and grocer shop in the main street of Yankalilla, which also sells fresh organic produce and local cheeses. Tom Reid, chef, Coriole, McLaren Vale. There’s much more than wine to slake the thirst of Fleurieu explorers, with an expanding range of boutique breweries and distilleries to visit. Vale Brewing has built a large production facility in Willunga, but has tasting flights available at Red Poles restaurant and gallery in McLaren Vale. Another impressive local brew to look for is Swell: The Boardrider’s Beer by Dan Wright. A fashion for boutique gin has prompted several winemakers to fire up their own distillation stills, including Maximus Winery’s Rowland Short at McLaren Vale. Within his winery – notable for robust red wines – Rowland also produces four styles of gin and liqueurs. The gin’s softness, bright aromas and clean, vibrant flavours stem from him using Australian native plants among steam-distilled botanicals blended with grape spirit. Angove Family Winemakers has introduced Blind Tiger Organic Gin, created in the London dry gin style, among its wines available for tasting at its impressive cellar door pavilion overlooking the Warboys vineyard in McLaren Vale. Stretching the menu further, McLaren Vale Distillery is making single malt whisky and Frail Leaf gin at its McLaren Vale shed, while Encounter Coast Spirits, a farm-based distillery at Inman Valley, makes its Fortune Teller Gin with Australian botanicals, along with vodka, fruit-based liqueurs, and a range of condiments under the Irreverent Kitchen brand. My favourite Fleurieu produce is Newman’s Horseradish – it’s all you need with a great Coorong Angus Beef steak, to keep everything simple and delicious. Lucy Willson, Bremerton Wines, Langhorne Creek. Farming diversity provides a surprising array of fresh and prepared meats from Fleurieu producers. Proof is evident in a growing number of farm brands selling direct to the public or through farmers markets. Najobe Park has impressive Red Angus free-range beef reared in a low-stress environment just north of Strathalbyn, to ensure maximum tenderness – and the Heath family’s farm also produces Rascal Jack pork and Zara Grace Lamb, with a range of smallgoods produced from the beef and pork. The Burns family’s biodynamic farms at Finniss and Milang produce outstanding Black Angus cows, branded as Triple B Biodynamic Beef, while Gum Park’s grass-fed organic beef, from Trevor and Janelle Paech’s lush farm near Mount Jagged, is sold in a wide range of cuts. Wakefield Grange has taken marketing of its farm-killed meats a step further, opening its own butchery and grocer in Yankalilla. Nathen and Sophie Wakefield sell beef and lamb reared on their Wattle Flat farm, in addition to local cheeses and food items. There’s surprising diversity of Fleurieu meat options, from Yankaponga Lamb (prime pasture-fed lamb from Garry Gum’s Wattle Wood Springs Suffolk Stud at Myponga) to Fleurieu Prime Alpacas of Mount Compass producing everything from burgers, chorizo and smoked meats to boned legs and fillets. Free-range Berkshire Silver pigs reared by Parawa farmers Katrina McCullough and Angus Williams are sold as selected cuts at their Victor Harbor Farmers Market stall called Green Eggs & Ham (yes, they also sell free-range eggs). The market also has Monika Bertram from Inman Springs Boer Goat Stud selling different cuts of goat, and cooks samples for passing shoppers to taste. Many cuts of local meats are available from Ellis Butchers in McLaren Vale, while David Betschart of Hamlet’s Meats in Willunga cures and smokes smallgoods (including Christmas hams) according to traditional European methods. The maritime influence of Gulf St Vincent and the Southern Ocean not only plays a crucial role in the calming weather that makes Fleurieu crops so bountiful; the seas bear their own delicious bounty. Smart chefs procure supplies from local and neighbouring Kangaroo Island fishermen to ensure the freshest catch – King George whiting, garfish, mulloway, squid, cockles – with a few specialist divers supplying wild-harvested scallops, oysters and sea cucumbers. Neil Hosking, a south coast fisherman with almost 40 years’ experience, sells his diverse catch at the weekly Victor Harbor Farmers’ Market. He notes that regular customers understand the availability of different fish changes, adding that variety signals a guarantee of freshness. processing factory in Port Elliot. The Mediterranean-influenced wines of Beach Road sit perfectly beside the wood-fired oven’s pizza and flatbread, with fresh salads and a bowl of gelato to finish, served from Thursday to Sunday. Tasting platters of local produce are designed to match the wines in a paid tasting, which can be enjoyed as a picnic on the deck. You can also try a matched chocolate and shiraz tasting experience. Tasting platters are inspired by the range of regional produce also stocked and offered for sale at the winery cellar door. The same goodies feature in prepared takeaway picnic boxes and pizzas. During winter, homemade soup and hearty beef and red wine pies are available. Stylish courtyard dining and picnic provisions available from cellar door. Only open by appointment, but visitors making the effort to book for a private wine tasting are in for a treat. Hosts Paul and Tracy Smith offer free platters stocked with produce from the region and their farm. Acclaimed a la carte restaurant next to a big cellar door tasting room. 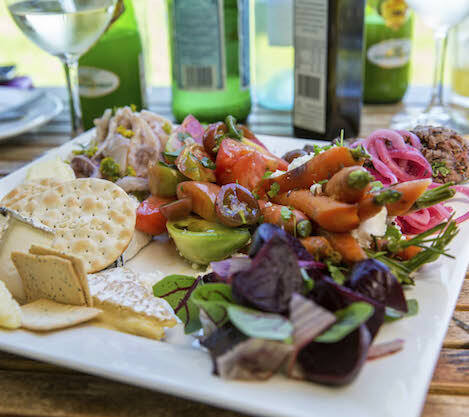 The cosy cellar door cottage combines art exhibitions with wine tasting and regional platters that proudly feature Fleurieu cheeses and produce. I taste the true Fleurieu when I’m having olives, cheese, seafood and grenache. Ben Sommariva, head chef, The General, McLaren Flat. The 1860s cottage was formerly a butcher shop, but is now an intimate tasting space for the Leask family’s minimal intervention wines. The relaxing little room is shared with the adjoining 3 Monkeys providore, so you can taste wines while enjoying a gourmet burger or a cheese platter. 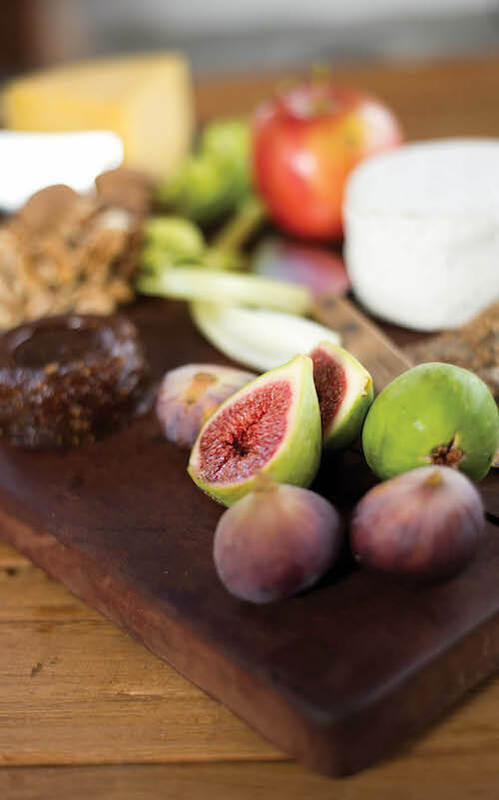 Working in conjunction with Blessed Cheese, the Hugo Wines cellar door is one destination along the McLaren Vale Wine and Cheese Trail, and can organise pre-booked platters. It’s also the home of estate-grown premium olive oil. The winery’s refurbished cellar door tasting area now includes lunch in its big light-filled dining space. Chef Brad McAvaney uses local veggies and produce in smart, simple dishes, with the beef and Bernoota pie (containing Lake Breeze’s award-winning cabernet blend) a particular favourite. Wines represent only a portion of the Lloyd Brothers’ business. Their farm tasting room presents the full extent of their involvement in food manufacturing – from premium olives, olive oil and pesto to pasta sauces, nuts and condiments. 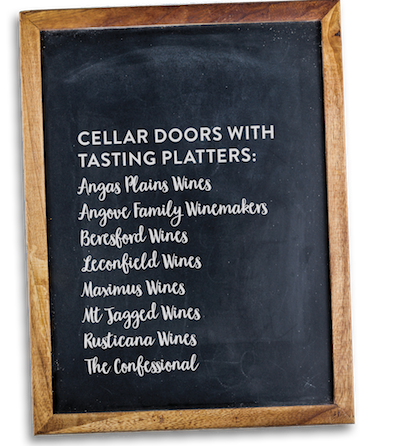 Try them in a cellar door tasting platter to go with estate wines. The big range of Maximus wines and Settlers gins made on site by Rowland Short is matched in the tasting pavilion with regional platters to share, cheese plates, or wine-infused chocolates. The winery’s Ellen Street Restaurant is one of the rising culinary destinations of the region. This small cottage stocks a big, proud range of local foods that can be tasted with Minko wines, or taken away as ideal Fleurieu picnic provisions. Wine isn’t tasted in isolation when you’re in the Fleurieu. Local food is equally important, which is why many winery cellar doors present eating options when you taste their wines. 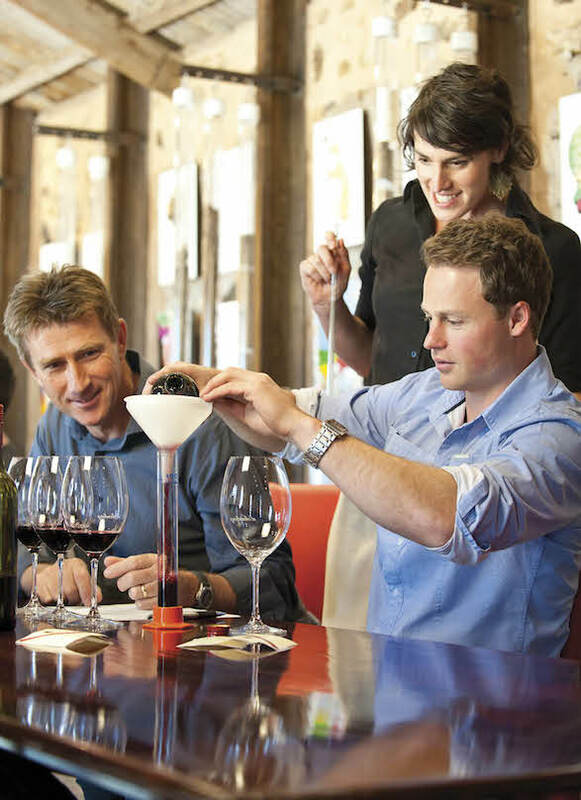 It’s also why several winemakers embrace aspects of food production, enhancing the total Fleurieu tasting experience. 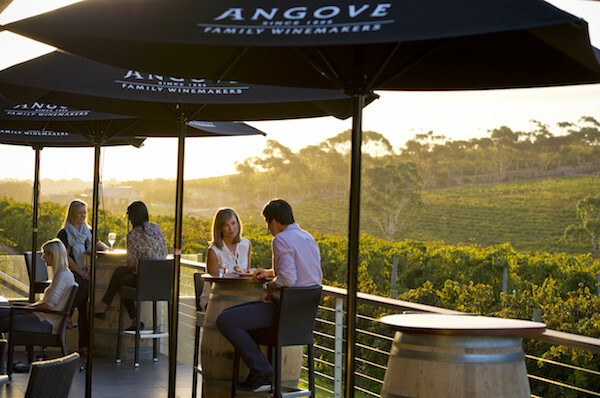 At the impressive stone and glass tasting pavilion overlooking its Warboys vineyard in McLaren Vale, Angove Family Winemakers offers cheese and grazing platters to complement its wines, or coffee and cakes, and has an outdoor kitchen and wood-fired oven, used for special events. Platters of many different persuasions, from cheeses with regional bites to Mediterranean-inspired tapas, are perfect for grazing while tasting wines. A casual lunch menu stretches from soup and salads to lasagna and homemade steak pies. 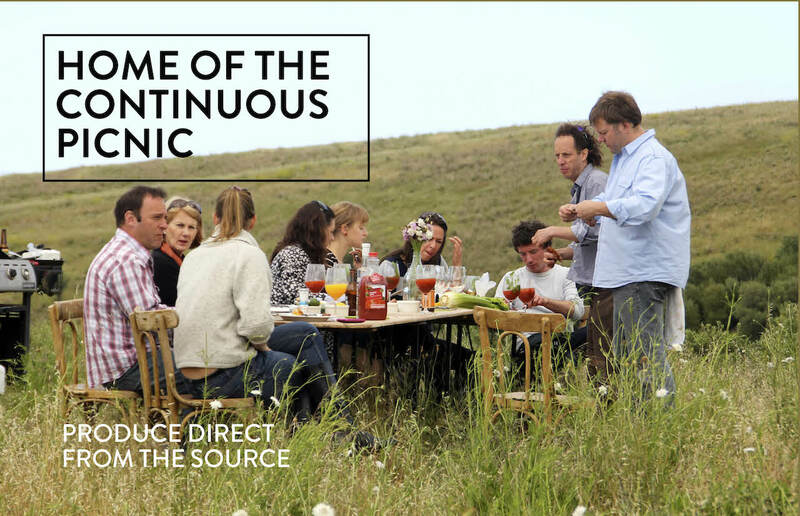 can’t go wrong – biodynamic, local and made with care. Karena Armstrong, chef and proprietor, The Salopian Inn, McLaren Vale. As home of the small winemaker, with more than 140 wineries and 100 cellar door tasting outlets, the Fleurieu Peninsula celebrates diversity. These wineries across four separate neighbouring regions– McLaren Vale, Langhorne Creek, the Southern Fleurieu and Currency Creek – also champion a wide range of grape varieties in wines that enjoy absolute harmony with local food. 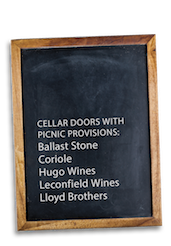 Most cellar doors present quality food offerings, from reputable restaurants to regional grazing platters and tempting picnic provisions. and fiano. Add Langhorne Creek fancies to the equation: malbec, dolcetto, lagrein, crisp white vermentino, and the unique shalistin (a white cabernet sauvignon) and malian (bronze cabernet sauvignon) grapes grown by Cleggetts. It adds up to a fascinating snapshot of what’s new in Australian wine beside historical stalwarts, noting that 150 hectares of McLaren Vale vines were planted more than 50 years ago. There are so many personalities in this wine region – they’re fantastic, and their wines are something special. Our Place has hosted an incredible all-grenache dinner by McLaren Vale winemakers, and the wines they make from old bush vines are truly unique. Steve Ramsey’s wine operation has its cellar door cafe on the Goolwa wharf, presenting platters of local meats, cheeses and dips, local beers, hot food options on weekends, and regular live music. 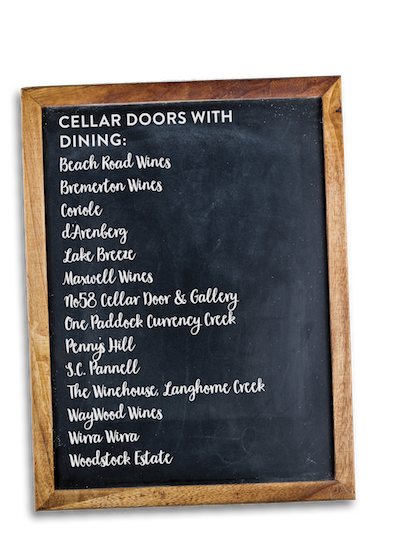 Nestled beside vines on historic Waverley Estate, the eclectic cellar door serves many functions, from providing tastings of Thunderbird Wines, to serving light lunches, presenting local art and stocking a delicious array of quality pantry supplies. 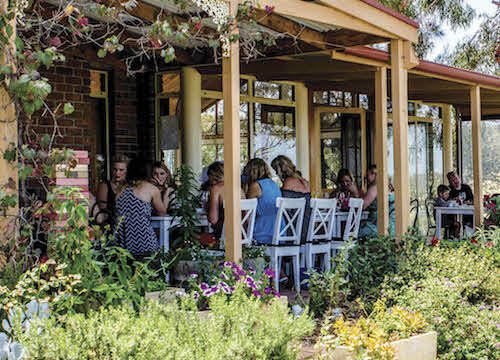 The wine tasting room includes a busy casual cafe that uses many Fleurieu ingredients among its light meals and cakes – a perfect respite for walkers from the adjacent Shiraz Trail. It also offers a liqueur chocolate and single-origin chocolate tasting matched to 20-year-old liqueur muscat. Inside the cleverly restored historic farm buildings, winery visitors are invited to build their own tasting platters from an array of produce. The winery restaurant overlooks paddocks and vines, from where the produce is sourced. 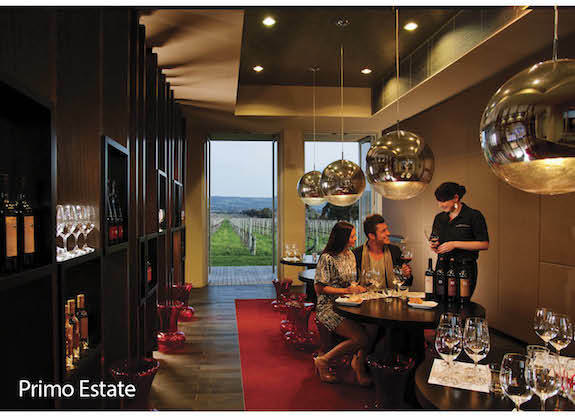 Book for a luxurious tasting experience in the winery’s chic cellar door lounge. Sample a flight of Primo Estate’s Italian-inspired Joseph wines in the company of Joseph extra virgin olive oil, Grana Padano cheese and local artisan bread. Wines from the Langhorne Creek property sit comfortably with tempting cheese platters, including condiments from its sibling business, Newman’s Horseradish. Casual restaurant dining and wine tasting. After tasting wines across the Shaw Family portfolio, stock up on sweet treats of choc-dipped apricots, nougat and praline from the pantry shop, enjoy exhibitions of local art in the gallery next door, or adjourn to the adjacent Cafelicious, which serves breakfast and lunch daily. Eight brands use this collective winemaking site and tasting venue. Wines are offered with seasonal tapas and platters, grouped into three tasting experiences; Lust (white wines), Envy (sparkling, rose and light reds) and Avarice (robust reds). Sample the wares of five local wineries and local craft beer in the company of casual lunches or grazing platters in the Winehouse’s big dining room, or at outdoor table settings in summer. 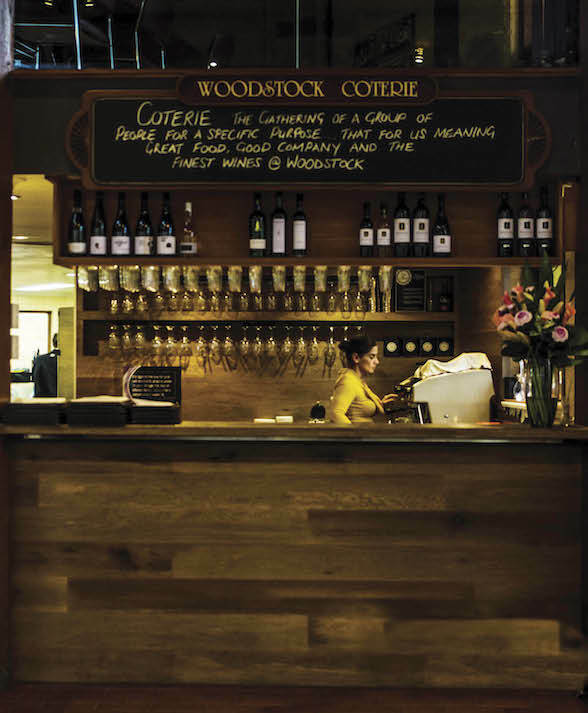 Andrew Wood and Lisa Robertson’s homely cellar door combines wine tasting with Luscious Red food, which celebrates local ingredients. Spanish and Italian influences permeate a rotating light meal menu, from weekend paella in winter through to tapas plates and cheeses. As an appropriate accompaniment to wine tasting in the cellar door, the adjacent Harry’s Deli is serving casual food. A free barbecue facility can even be booked for casual picnics. The Coterie Restaurant offers platters and a la carte dining. Corrina Wright, winemaker, Oliver’s Taranga Winery, McLaren Vale. Dawn Patrol Coffee Roasters at Kangarilla roast as many as seven varieties of single origin coffee beans at its shed on Sundays, which is open to the public for tasting and sales. At De Groot Coffee Co in Port Elliot, Trevor De Groot and Bernadette Stack’s main focus is roasting single origin coffee, with a charter to support certified organic fair trade by purchasing beans from small grower co-operatives. Fleurieu Roast Coffee does small batch roasting at Aldinga Arts-Eco Village, with direct sales only by appointment. 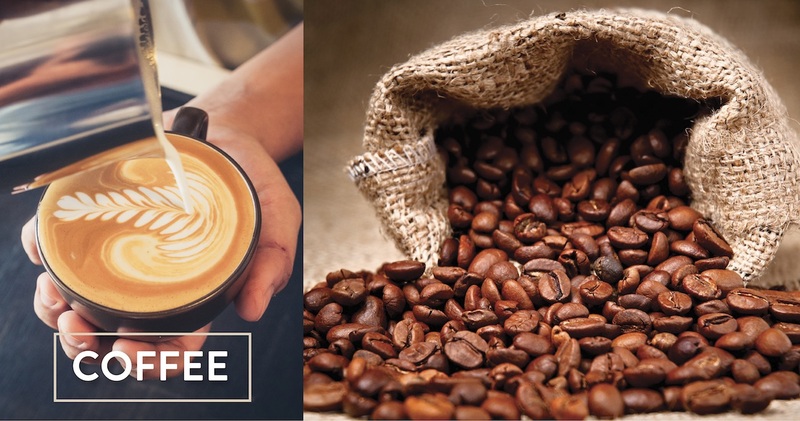 Its roasted beans are stocked at Bambu Homewares and The Almond Train in McLaren Vale, while its mobile espresso cafe often appears at local outdoor events. Jim and Carol Banman from Villere Coffee share the Home Grain Bakery shop at McLaren Flat to do roasting and packaging of their signature Brazil Blend, as well as several single origin coffees. One of Villere’s great supporters is From Humble Grounds, an impressive mobile coffee bar run by Rebecca Moore and Rob Negerman. Distinctive touches at their weekly Willunga Farmers Market stall include house-made almond milk from local nuts, and sweet treats featuring local seasonal fruits. Piccolo Espresso is another popular mobile coffee operation run by Jen Hanna (former proprietor of La Terre cafe in Willunga). Its weekly appearance at the Willunga Farmers Market also shows off Jen’s baked goods that have a distinctly French accent.